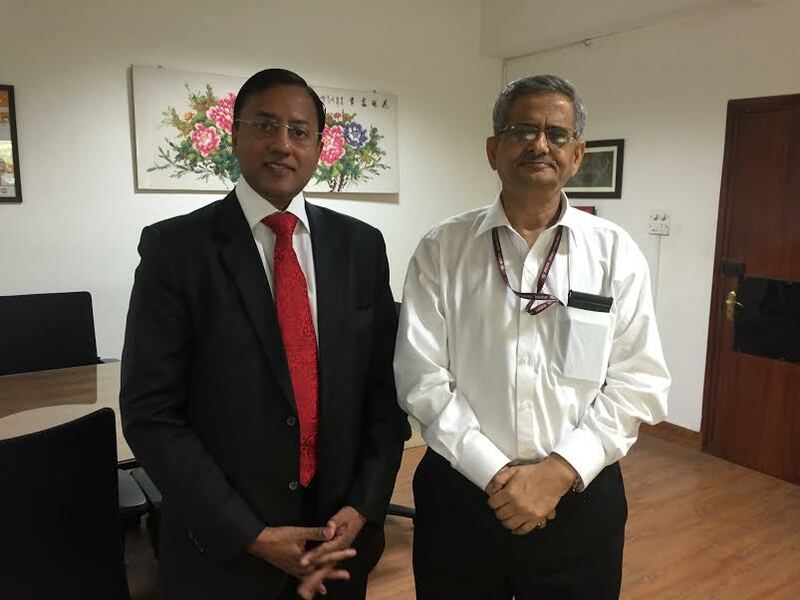 In an effort to take forward across the Country the large scale Population based Breast Cancer Screening being implemented in Telangana & A P by Ushalakshmi Breast Cancer Foundation( UBF) , Dr Raghu Ram met with Mr BP Sharma, Union Health Secretary, Govt of India at his Nirman Bhavan Office in Delhi on 8 April 2015 & presented to him a synopsis of the large scale Breast cancer Screening Programme being undertaken in Telangana & AP. The Health Secretary was impressed with this innovative initiative aimed at early detection of Breast cancer. He promised to examine the proposal and look into the prospect of implementing similar population based Breast Cancer Screening Programme in other States across India.